Let me start off by saying that I am still loving on Superior Spider-Man. Every page is a page turner, which is how a good story is supposed to be. There’s a couple of funny moments, such as when Mayor J. Jonah Jameson thought he was going to be in control of Spider-Man. And the interaction between the Vulture and his henchmen. Those bird-like creatures talked and acted as if they were kids, and were treated as such. They were given pizza and game tokens! A lot is going on in this issue. 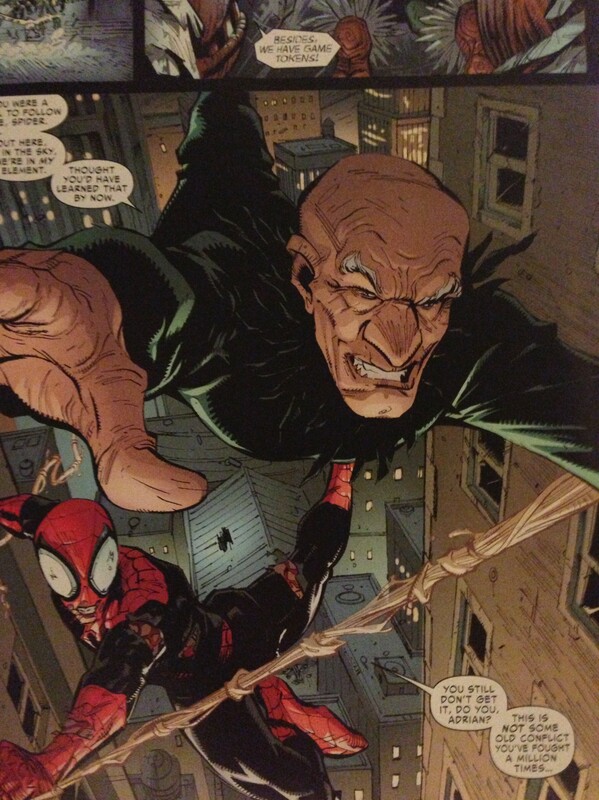 To spare a lengthy post, I’ll touch on Spider-Man’s revenge against Adrian Toomes, the Vulture. Spider-Man went to Toomes and offered him a way out of his life of crime. Thinking he was joking, the Vulture ordered an attack. After knocking one of them to the ground, Spidey learned the bird-like creatures were children. I told you they talked and acted as if they were children! I was shocked to learn the truth also. Spider-Man had a flashback of his dad striking him when he was a young boy. Outraged he went after Toomes to put a stop to him for good. They fought. And they fought. And they fought. Until the end. Toome’s end. There is so much going on in this story that I can’t fit it all into this post. Well I can but no one will read it all. Not even me. Too long. So I’ll wrap it up here. This series is still going strong. One of the best Marvel NOW! titles. Very strong dialogue and pacing. Dan Slott is still the man. He packed a lot in this issue without skipping a beat. Ryan Stegman still has it going on with the art. Several intricate scenes. Edgar Delgado is great with the colors. A few of the panels made me cry, especially Otto’s flashback of his dad hitting him as a child. Let me start off by saying that I am still loving on Superior Spider-Man. 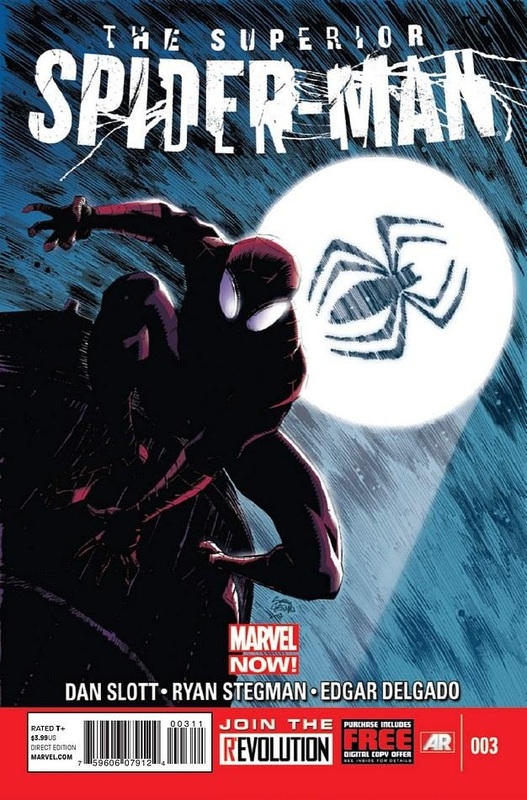 If you haven’t already started reading Superior Spider-Man, now is the time to start. While you’re at the comic shop you may as well grab issues 1 and 2 also.